Funding remained an issue, but the Kirstenbosch Development Campaign was launched by Prof. Huntley to raise funds for capital projects. Its success, along with donations from corporate funders, the Botanical Society and later government, made it possible to change the face of Kirstenbosch. Not since the early decades had so much building taken place. 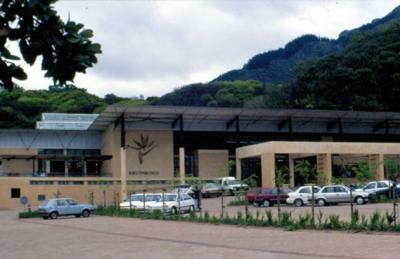 Projects included the Kirstenbosch Research Centre which was built in 2 phases and which as well as research facilities and offices, included a new library, molecular laboratory and herbarium. 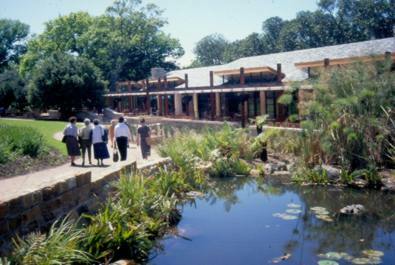 In the Garden itself, the Botanical Society Conservatory (1997), and Visitor Centre and Old Mutual Conference and Exhibition Centre(1998) altered the approach to Kirstenbosch. 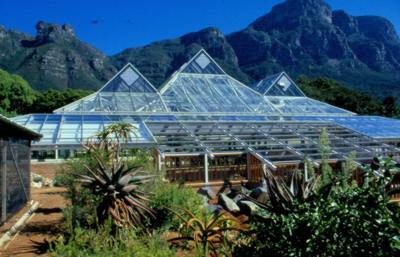 The Botanical Society Conservatory was built primarily to protect succulents from Kirstenbosch’s wet winters. At last Kirstenbosch could try growing a baobab again, but it certainly was not easy to get it in there. In 1999 the new Silvertree restaurant situated at the bottom of the garden, where the guest cottage had previously stood, was opened. Several research green houses were built and renovations to the stone cottages were also done to make them available for use in this decade. 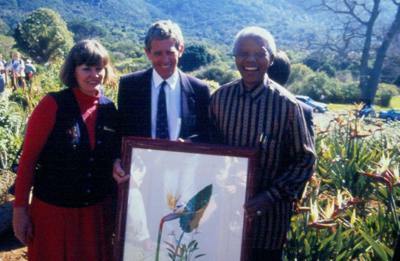 In the 1990s,’Kirstenbosch Gold’, a yellow strelitzia that was later renamed ‘Mandela’s Gold’ to honour the visit of President Nelson Mandela, was breed and marketed to raise funds. Kirstenbosch started selling its “smoke primer” too. 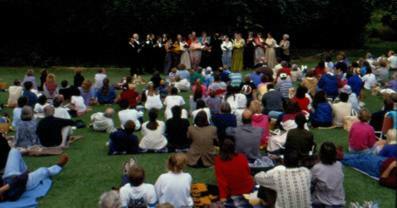 Still very popular today, the Sunday craft markets and Summer Sunset Concerts also started early in the 1990s. The water system, with automated reticulation was completed early in the decade and the vlei area and boardwalk developed. 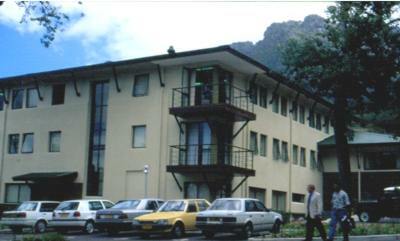 This was followed by the development of the Fynbos Walk. This decade saw the start to the development of various theme gardens, such as the Water-wise Garden and the Fynbos Garden. 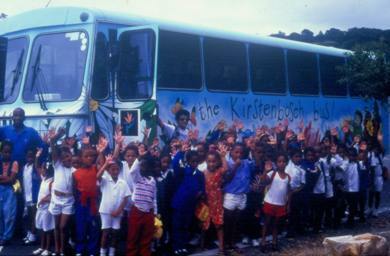 By the middle years of this decade Environmental Education units were established at most of the gardens and at Kirstenbosch this work expanded considerably with the renovation of the Gold Field Education Unit and the donation of the outreach bus in 1996. One of the highlights of this decade was the visit by President Mandela and the Dalai Llama in Sept 1996. In 1998 Chapungu stone sculptures, which are such a feature of the Garden were displayed for the first time and the decade ended on a high note as Kirstenbosch was voted one of the top seven botanical gardens in the world in 1999.